Bishop Milton Wright and Susan Catharine Wright had four sons, Reuchlin, Lorin, Wilbur, and Orville, and one daughter Katharine. 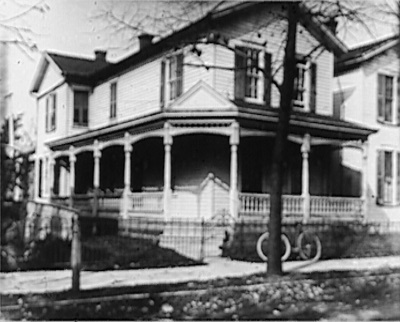 Wilbur, their third son, was born on a small farm near Millville, Indiana April 16, 1867, while Orville and later Katharine were born at 7 Hawthorn Street in Dayton. Bishop Wright moved frequently from job to job, so the Wrights shifted houses frequently, though the house on 7 Hawthorn Street remained long in the family's possession. The Wright household was a stimulating place for the children. 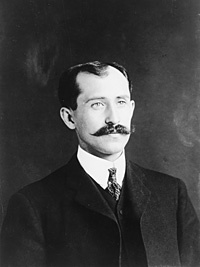 Orville wrote of his childhood: "We were lucky enough to grow up in an environment where there was always much encouragement to children to pursue intellectual interests; to investigate whatever aroused curiosity." The house had two libraries: Books on theology were kept in the bishop's study, while the downstairs library had a large and diverse collection. Although Bishop Wright was a firm disciplinarian, both parents were loving and the family was a close one. The family moved from Richmond, Indiana back to Dayton in June of 1884, the month Wilbur was to have graduated from high school. 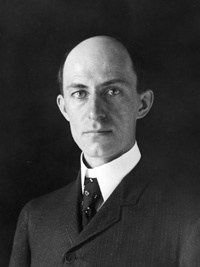 Wilbur left Richmond without receiving his diploma, and returned to Central High School the next year for further studies in Greek and trigonometry. 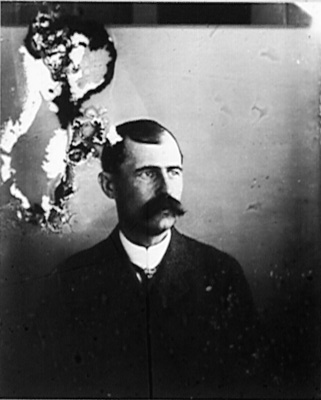 Probably during the winter of 1885-1886, Wilbur was hit with in the face with a bat while playing an ice-skating game. The injury at first did not seem serious. In the Bishop's words, "In his nineteenth year when playing a game on skates at an artificial lake at the Soldier's Home near Dayton, Ohio, a bat accidentally flew out of the hand of a young man... and struck Wilbur, knocking him down, but not injuring him much. A few weeks later, he began to be affected with nervous palpitations of the heart which precluded the realization of the former idea of his parents, of giving him a course in Yale College." For the next four years, Wilbur remained homebound, suffering perhaps as much from depression as from his vaguely-defined heart disorder. During this period, Wilbur cared for his mother Susan, who was dying from tuberculosis. 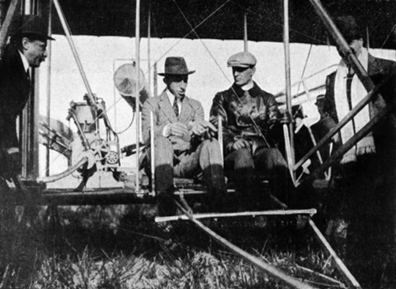 During the years 1900, 1901, 1902, and 1903, the two brothers developed the first effective airplane. 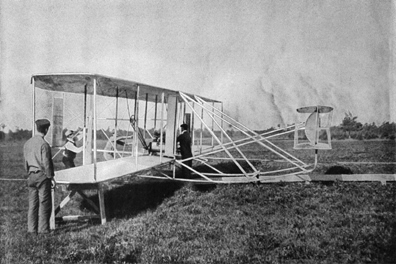 Check out an online simulation of their 1903 flyer, or look over the VRML 3D model. While I'm preparing additional material on the Wrights, you can read about them in their own words. The Wright article page has links to articles prepared by the brothers describing their invention of the airplne. ... check out the Bibliography, which contains numerous references to texts describing the Wrights and their accomplishments. Don't forget to take a long look at the extensive online Wright photo album. 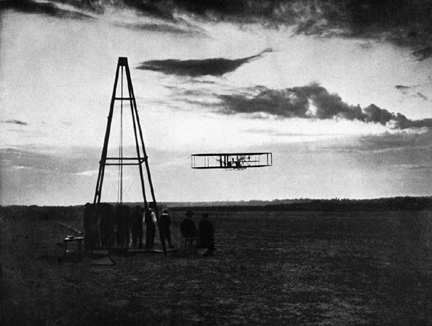 Finally, don't forget to see how far you can fly the 1903 simulator!